NASA and Penn State University have released new images from the Swift Gamma Ray Burst Explorer. The ability to see exquisite details in the ultraviolet is illustrated in the images above. At left, is a three-filter (uvw1, uvm2 and uvw2) ultraviolet image of Messier 81, a spiral galaxy 12 million light-years away in the Ursa Major constellation. 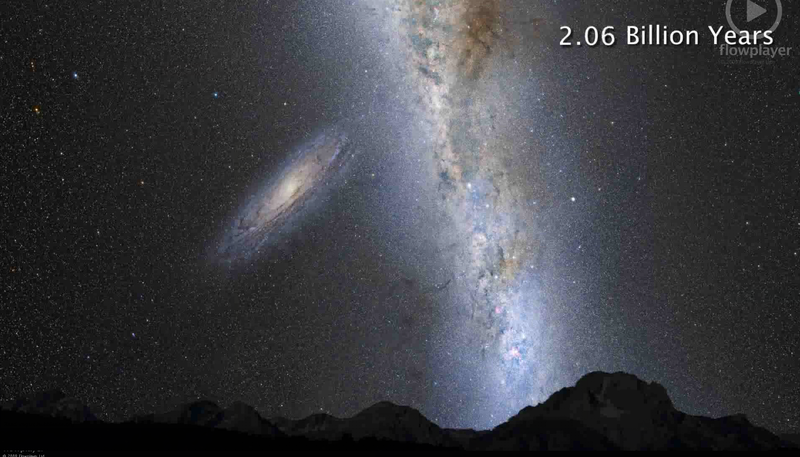 At right is a visible image from the Sloan Digital Sky Survey. 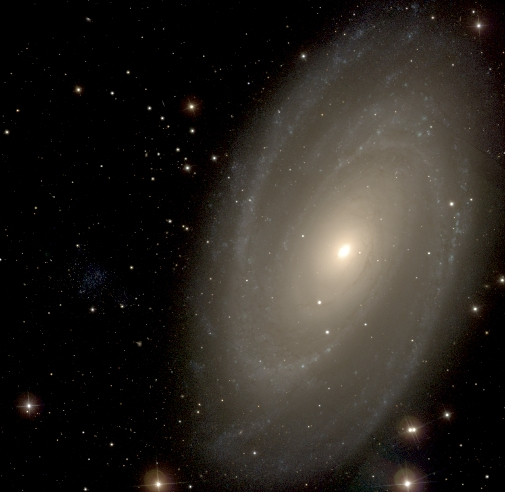 M81’s companion galaxy, Holmberg IX, is barely visible in the optical, but its young stars shine brightly in the ultraviolet. Swift carries three instruments for detailed observations of gamma ray bursts. The X-ray Telescope (XRT) and the UV/Optical Telescope (UVOT) were built by Penn State, Leicester University and the Mullard Space Science Laboratory (both in England) and at the Osservatorio Astronomico di Brera (in Italy). The third instrument is the Burst Alert Telescope (BAT). Swift was launched into a low-Earth orbit on a Delta 7320 rocket on November 20, 2004. Image Credit: NASA / ESA / M. Postman / D. Coe (STScI) / CLASH Team. 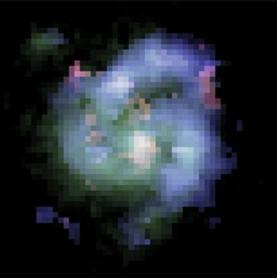 NASA has released an image of a newly discovered galaxy that is the youngest object seen so far. 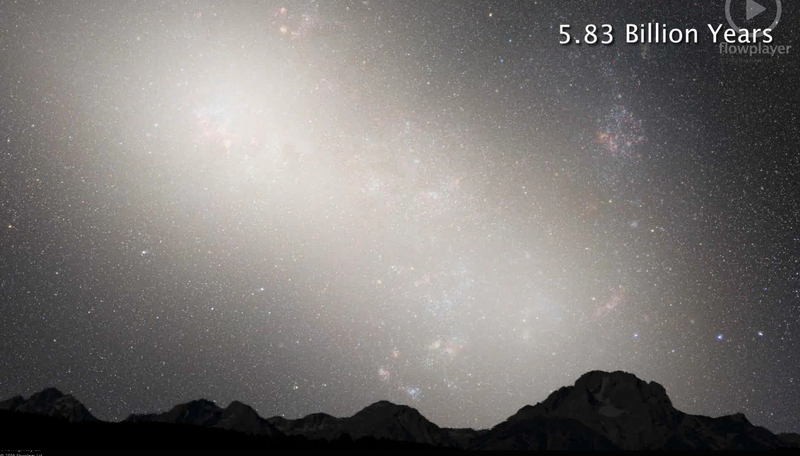 The young dwarf galaxy, named MACS0647-JD, is only 600 light-years across and is seen only 420 million years after the Big Bang (13.3 Billion light-years away from Earth). The galaxy is tiny. 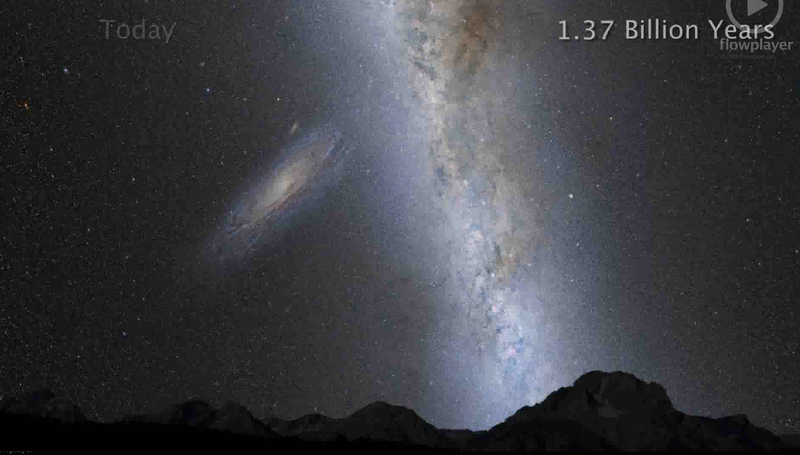 For comparison, the Large Magellanic Cloud, a dwarf galaxy companion to the Milky Way, is 14,000 light-years wide. 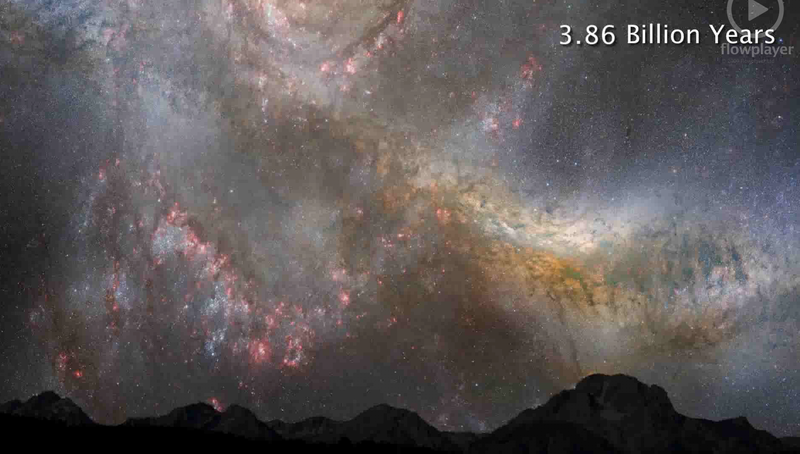 Our Milky Way is 150,000 light-years across. 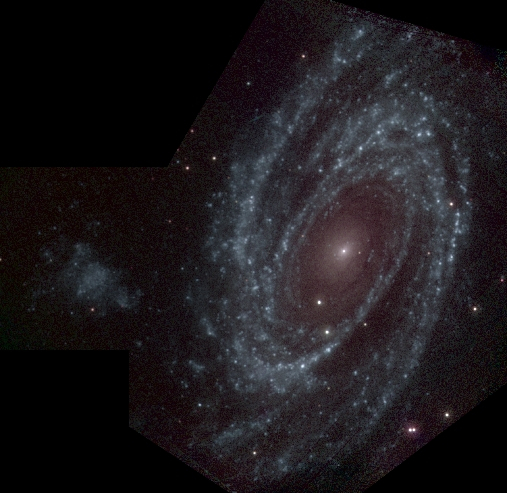 The image above is a composite taken with Hubble’s Wide Field Camera 3 (WFC 3) and the Advanced Camera for Surveys ( ACS) on 5 October and 29 November 2011. 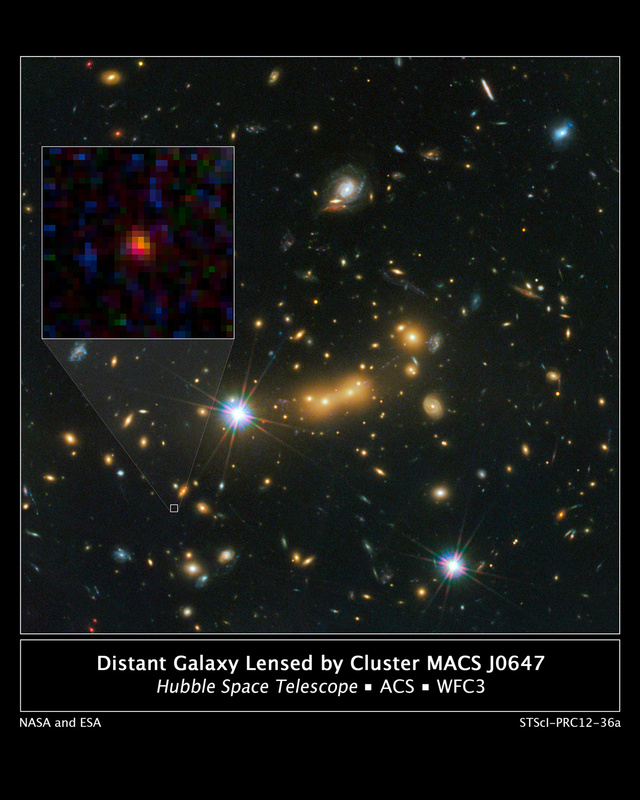 The work was done by the Cluster Lensing And Supernova Survey with Hubble (CLASH) team. 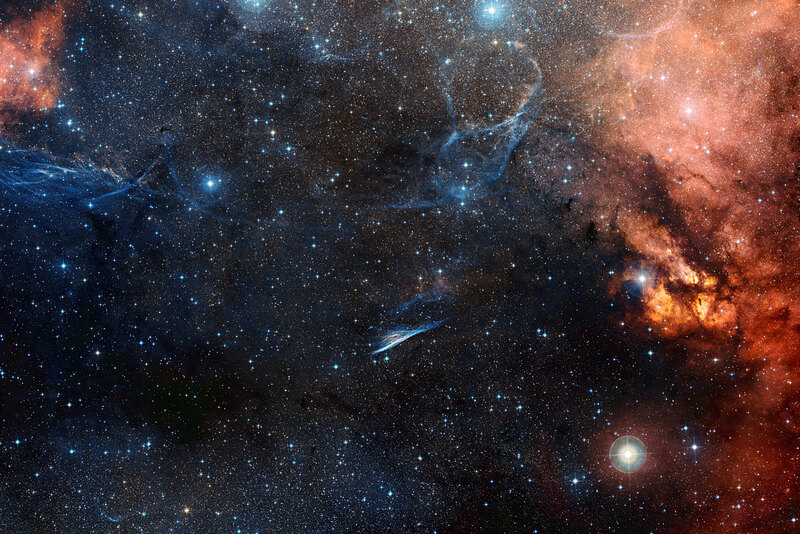 The European Southern Observatory has released new images of the Pencil Nebula taken by the Wide Field Imager on the MPG/ESO 2.2-metre telescope. The nebula is only 800 light years from Earth, and changes position in the night sky within a human lifetime. Click on the image to see a wide field view of the nebula and its environment. Only one galaxy with a redshift (z) greater than 2 (about 10 billion years ago) has been observed, but may be a merger viewed at an odd angle. 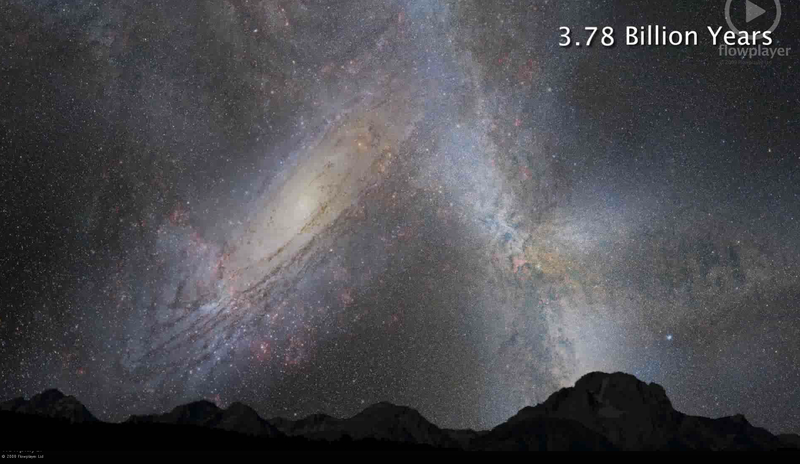 Now, astronomers report in the 19 July issue of Nature the discovery of a primordial galaxy (Q2343-BX442) at z = 2.18 with three distinct spiral arms. The images were from the Hubble Space Telescope Wide-Field Camera 3 (HST/WFC3), and BX442 was the only galaxy with a spiral shape among the 306 galaxies surveyed at this depth (z between 1.5 and 3.6). A small companion was observed, and the astronomers note that the collision of such a companion with BX442 can produce the spiral arms that are observed. 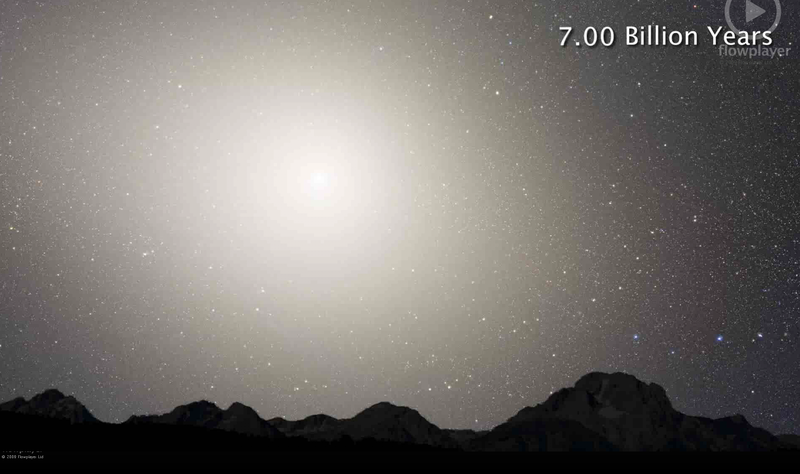 If this is the case, they expect the galaxy to relax into a more primitive shape within the next 100 million years. The European space Agency (ESA) has released images of the Vela Nebula taken by the Herschel Infrared Space Telescope. The bright butterfly shaped region is a stellar nursery, with a string of bright, hot stars along its body. These massive stars are destined to explode as supernovae within the next 10 million years. Strung out all along this region of the nebula are wispy filaments with protostars embedded within them. The image was mapped using Herschel instruments PACS and SPIRE at wavelengths of 70, 160, and 250 microns, corresponding to the blue, green and red channels, respectively. North is to the right and east is up. 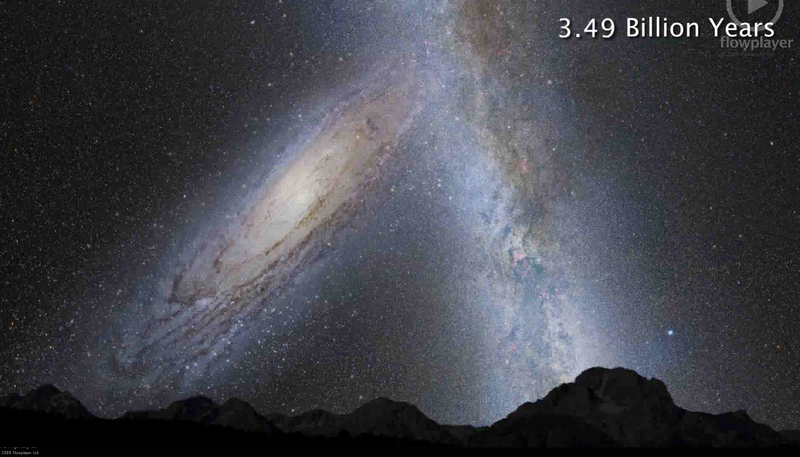 With a small telescope, you can see the Andromeda Galaxy as a thin disk near the top of the image, and just off to the left side of the Milky Way, which stretches from top to bottom. 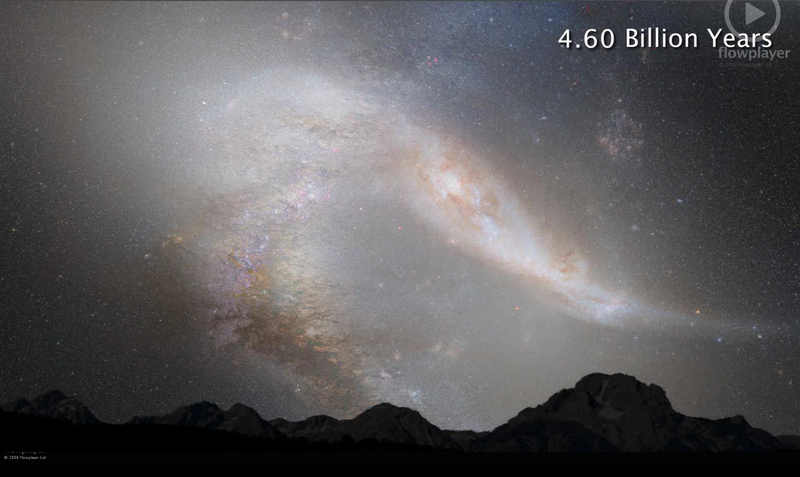 Thanks to the four refurbishing missions by the Space Shuttle, NASA has been able to gather extended data on the motion of the Andromeda Galaxy and the Milky Way. 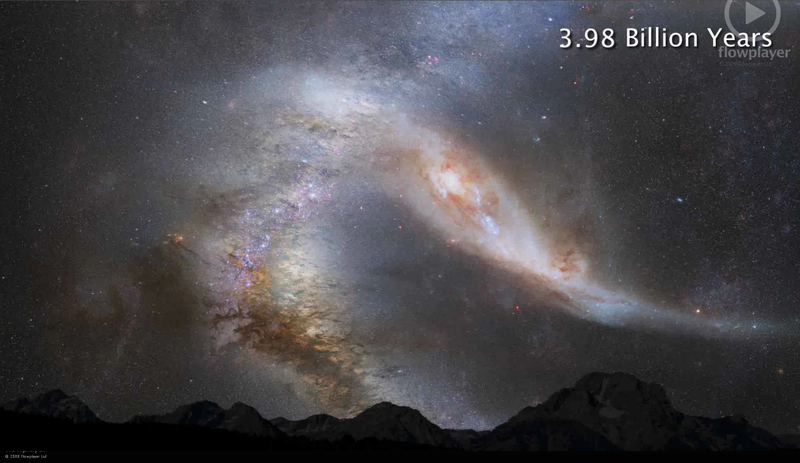 Based in this data, we now know how and when the two galaxies will collide. 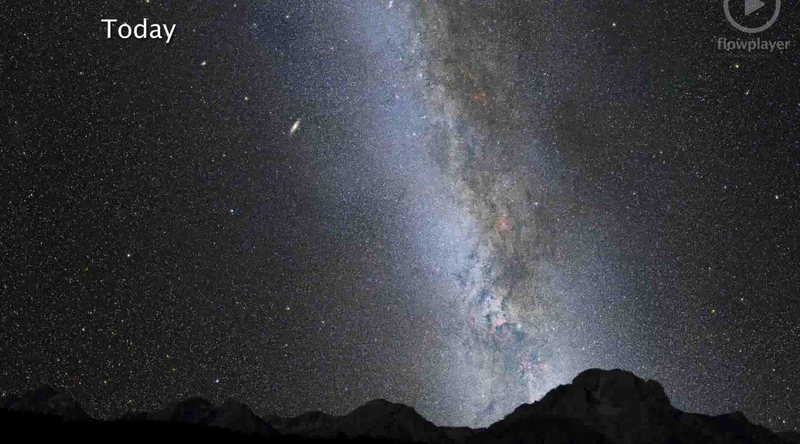 Below, Andromeda and the Milky Way move closer, pass each other in a burst of star formation due to the tidal disruption, and eventually coalesce into an Elliptical Galaxy. NASA’s Nuclear Spectroscopic Telescope Array (NuSTAR) spacecraft is scheduled for launch this morning 13 June 2012, after being postponed this Spring. 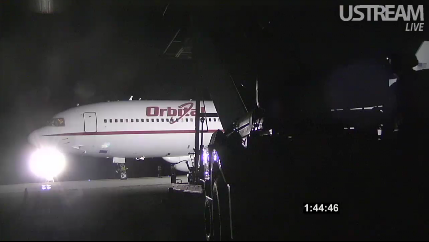 Launch is currently scheduled for 9:00 AM Phoenix time (16:00 UTC), with a window between 8:30 AM and 12:30 PM Phoenix time (15:30-19:30 UTC). Coverage and commentary will be broadcast online beginning 90 minutes before launch at http://www.nasa.gov/mission_pages/nustar/multimedia/index.html. At 7:25 AM Phoenix time, we are 1 hour and 35 minutes from launch.